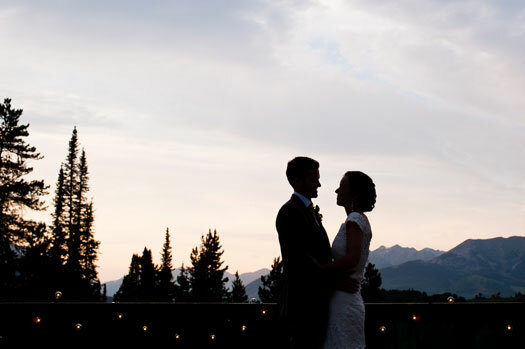 From the bride, Emily: We wanted to do a mountain wedding in a place that really puts everyone in vacation mode. 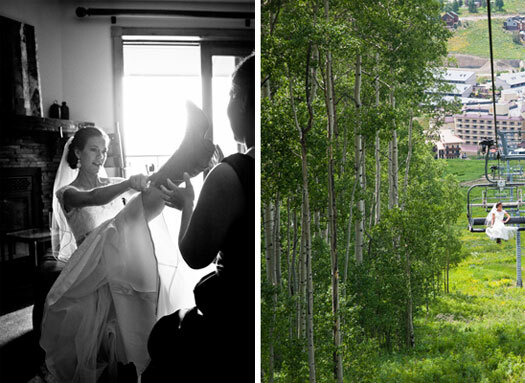 We love Crested Butte — the beautiful historic town, filled with laid-back, friendly people, and plus amazing scenery…hard to beat that! 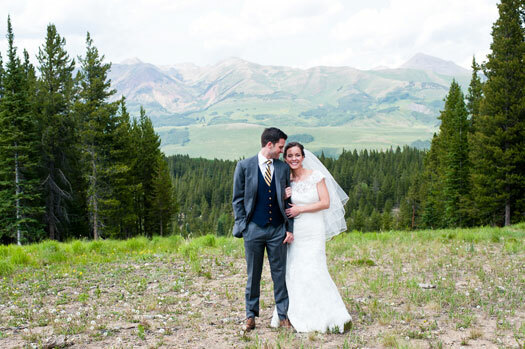 Having it in Crested Butte over Fourth of July weekend allowed us to create an entire weekend full of events, soaking up more time with everyone and taking advantage of everything Crested Butte has to offer. People went to the 4th of July parade, went biking, hiking, climbing, picnicked at a park in town and ate at many a tasty restaurants. 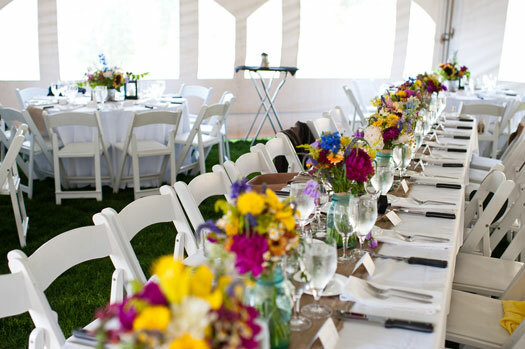 It was a perfect weekend of festivities! 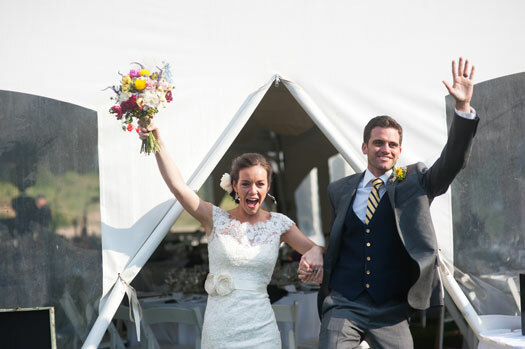 We wanted our wedding to feel outdoorsy, bright, laid-back, and super fun! Everyone knows that we’re not fancy, formal people, so we wanted to stay true to our personalities. 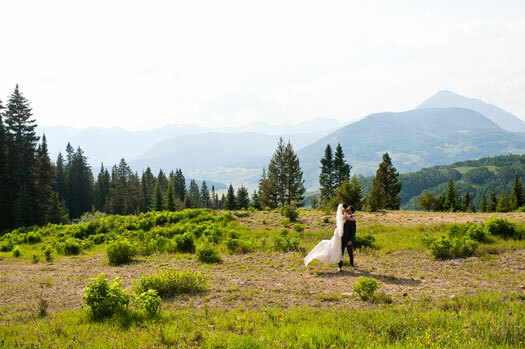 Plus, we both love to hike, ski, climb, and simply be outdoors, so this wedding venue and style suited us well. 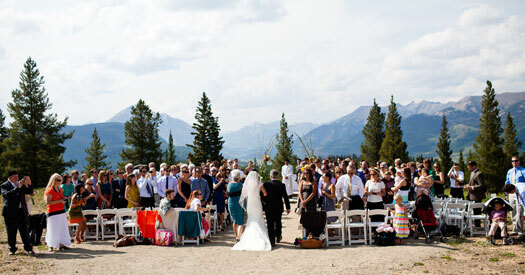 Our ceremony was at the top of Red Lady Express chairlift at over 10,000 feet. 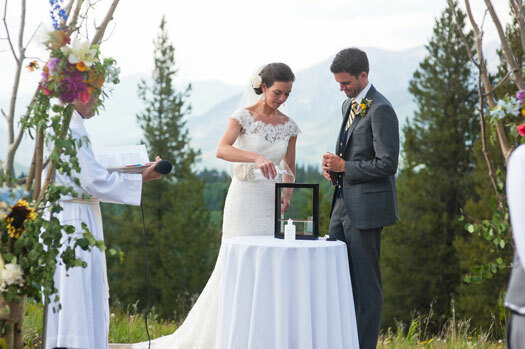 We each wrote our own vows and didn’t share them until the actual ceremony. This was extremely emotional for us both and we were also quite amazed at how similar they were. 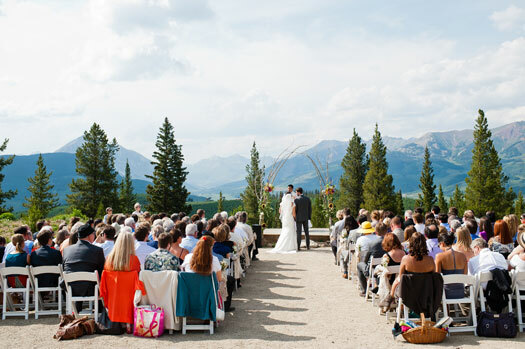 When we were saying our vows, I just remember thinking “Wow, here we are on top of a mountain, with all our family and friends, making this amazing commitment to each other.” It was powerful. 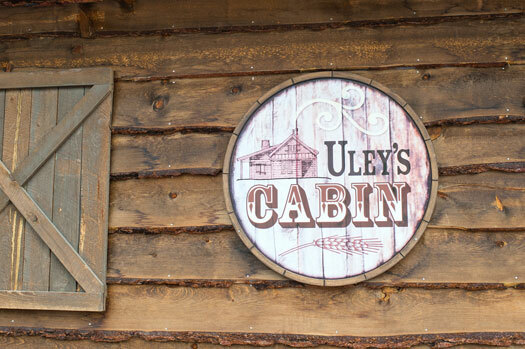 Our reception started with a cocktail hour on the deck at Uley’s Cabin with Moscow Mules for all. 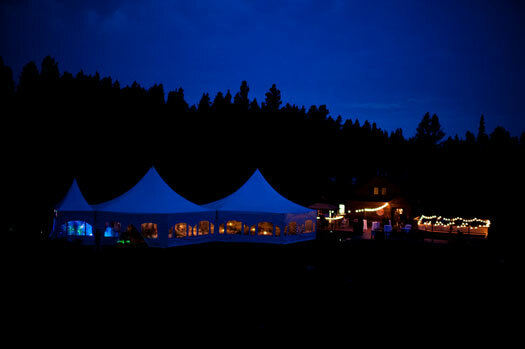 Dinner and dancing followed in a tent next to Uley’s. 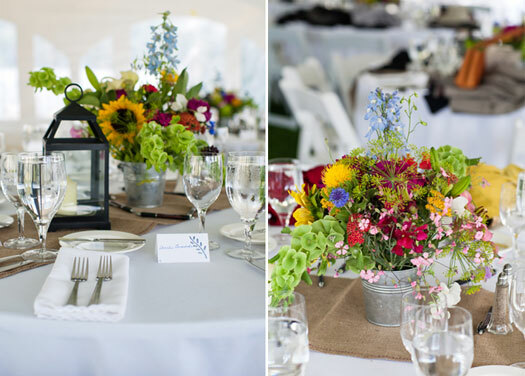 For the tables, we had burlap runners, bright wildflowers in tin watering cans and slate table numbers. We made burlap banners that said “Better Together” (our song for our first dance) and “Oh Happy Day” (our recessional song from the ceremony). 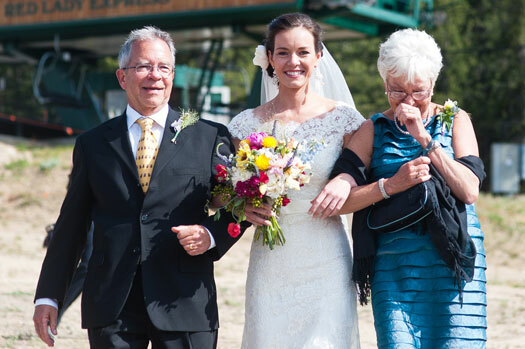 I’ll never forget how overwhelmed with love and gratitude I felt looking out at all of our family and friends, trying to say a few words of thanks. 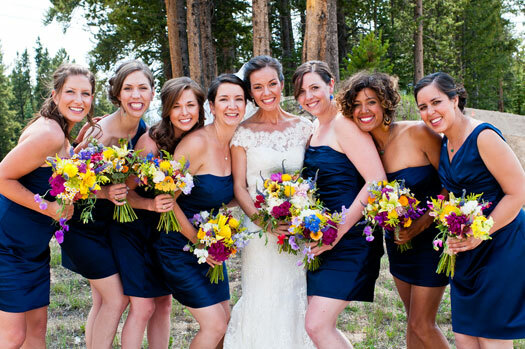 It is the most amazing feeling in the world to have the people you love and care about gathered together. My advice: Enjoy the process and the fun that comes with it! It is overwhelming and stressful at times, but it’s important to keep your perspective. 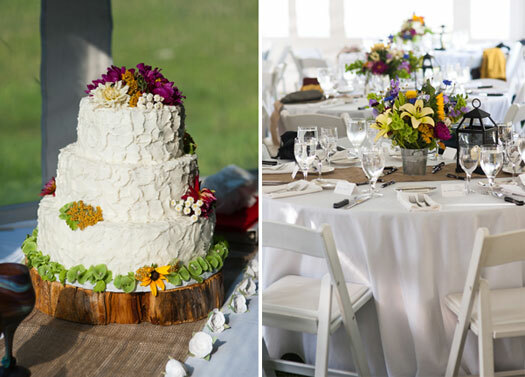 Remember, the reason you’re planning a wedding is so you can marry the love of your life. Also, no one besides you will notice the little things that may not go exactly as planned. Honeymoon Location: Nicaragua. Matt planned the entire two week honeymoon and surprised me with a big announcement at our brunch the day after the wedding. I knew it was a beach trip, so I was already packed, but I had no idea where we were going! He even created a travel brochure and gave me a necklace from Nicaragua! 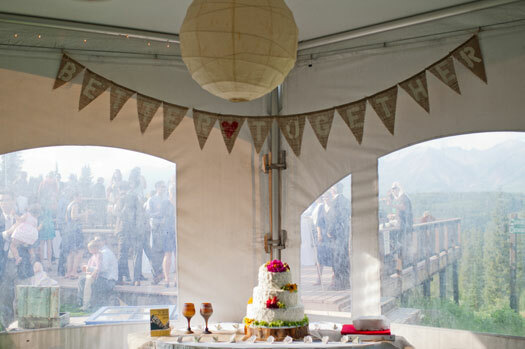 It was so sweet that he had put that much thought and attention into all the planning! !